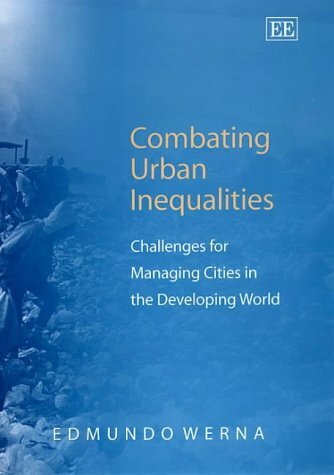 Synopsis: This book analyzes the relationship between urban management and the unequal pattern of provision of urban services in developing countries. It starts from the premise that socio-economic inequalities constitute a significant development problem. The book shows how the existence of inequalities may in distinct ways enhance the inadequate living conditions of the poor - either in psychological and/or material terms. Inequalities in developing countries are more intense in urban areas, and the supply of urban services plays a fundamental role in this context. Edmundo Werna analyzes this issue with particular attention to the increasing diversity of supply due to economic liberalization. The analysis reveals the existence of varied types of interaction between the government and suppliers of urban services, with significant implications for addressing inequalities. The book argues that local authorities play a crucial role in managing such diversity, and need considerably more support than the present status-quo allows. Using evidence from three cities (Nairobi, Chittagong and São Paulo) Combating Urban Inequalities will be of interest to scholars within development, urban, public administration, public health and government studies. The book will also appeal to practitioners and policymakers, as it contains policy analysis and recommendations.